Mexican designer Emiliano Godoy has added a coffee table to the existing Flex collection he has designed for the Mexico City based manufacturer Pirwi. 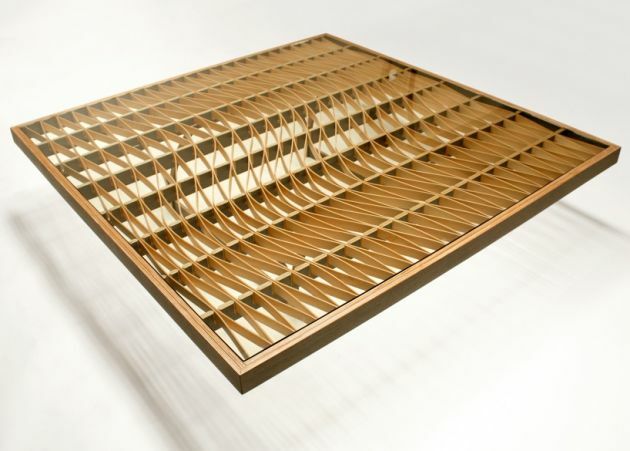 The tabletop surface is made from thin strips of maple plywood. 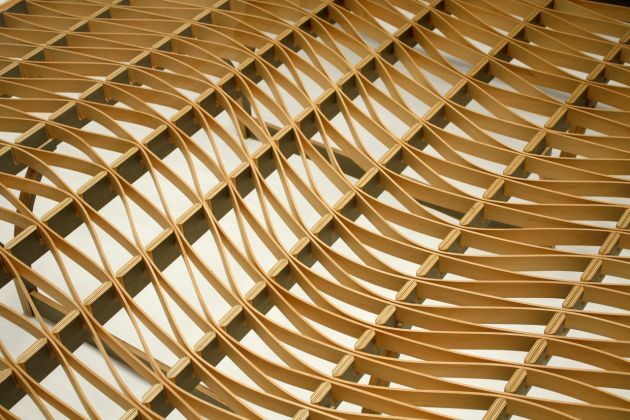 By twisting and bending these thin elements, a rigid structure is created, which although very strong, is both visually and physically lightweight. 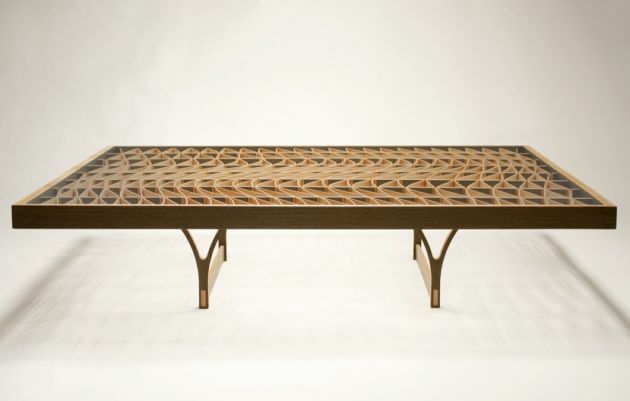 The table features a stretched pattern of undulating lines that support a thin glass top. The slender legs of the table are recessed, adding to the visual lightness of the piece.